What Else Is Out There besides CPAP If You Suffer from Sleep Apnea or Snoring? Sleep apnea is a common problem that affects over 18 million people around the world. However, the symptoms of sleep apnea cannot be always noticed and therefore often go without any treatment. The most common way to treat sleep apnea is to use the Continuous Positive Airway Pressure (CPAP). This involves wearing a mask that fits over your nose and mouth while you sleep. CPAP works by pushing air into the back of the throat and acts as a splint that keeps the airway open thus facilitating normal breathing. This is a very effective treatment for sleep apnea. However, it takes a lot of effort to get used to the mask. The most common problems with CPAP is discomfort or difficulty tolerating the mask and the air pressure. It can further lead to a dry and irritated throat, nightmares, nasal problems and claustrophobia. Although many of the new CPAP machines are designed to improve therapy compliance, most people continue to have difficulties with this treatment option and they never get used to the CPAP. 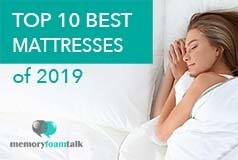 Click here to see our top 10 mattresses that may help you solve your sleep apnea and snoring problems. Also called Oral Appliance Therapy, these dental appliances are the simplest and safest alternative to CPAP. This appliance is customized to fit the user’s mouth and is only worn during sleep. Like orthodontics, dental mouthpieces work by keeping the jaw in position thus enabling proper breathing. The mouthpiece is custom fitted by a dentist, and the patient, dentist and doctor all work closely together to ensure the device gives optimal results. Oral devices are portable, comfortable, and they don’t have any side effects. They are also much cheaper and more convenient to use when traveling than the CPAP. At the back of your throat there are two masses of tissue called tonsils that act as filters, trapping germs that could otherwise enter your airways and cause infection. They also produce antibodies to fight infection, but sometimes, overwhelmed by bacteria or viruses, they become infected, and they swell and become inflamed. In such cases the tonsils can swell so much and the inflammation can be so severe to block the airways thus causing snoring or sleep apnea. Reducing the size of tonsils via a laser can provide relief. The procedure involves reducing the size of the tonsils to unblock the airways and is minimally invasive. Laser tonsil reduction (ablation) is a common alternative to CPAP to treat sleep apnea. A local anesthetic is generally used and the whole procedure only takes about 30 minutes. There is no need to stay in a hospital, and there is little discomfort coming from this procedure when compared to other surgical procedures for sleep apnea. 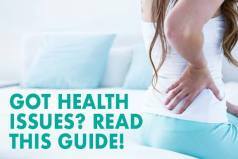 Click here to see what is our top choice for a mattress that can help you deal with your sleep apnea symptoms. That dangling piece of tissue in the back of your throat is called an uvula and can be the cause of your snoring or sleep apnea. Laser surgery helps minimize an enlarged or extended uvula and is incomparably less complicated than the traditional surgery that usually has more complications and side effects. It takes less than 30 minutes and involves using the laser to vaporize the uvula and a specified portion of the palate and remove the obstruction in your airway. In this way, snoring and the symptoms of sleep apnea can be effectively controlled. An abnormal positioning of the tongue can cause sleep apnea and snoring, and radiofrequency tongue ablation can solve this problem. This minimally invasive procedure uses radiofrequency technology to shrink and tighten the base of the tongue thus providing relief to those who have an enlarged tongue which blocks proper airflow and causes snoring and sleep apnea. The procedure is a fast, effective and easily tolerated, with minimal side-effects. It is usually performed under a general anaesthetic and also takes thirty minutes or less. This holistic alternative provides relief by stimulating the muscles of the upper passage. A recent study found acupuncture and acupressure to be more effective in treating sleep apnea than CPAP. This holistic method provides relief to those suffering from sleep apnea without any use of devices and need for surgery or medications. This method, however proves to work better for mild sleep apnea. A stronger treatment needs to be used for more serious and complex problems. Positional therapy can be an effective alternative to CPAP. Positional sleep apnea affects those who sleep on their backs, or in the supine position because of the obstruction of airway that can result from sleeping in these positions. Positional therapy involves patients wearing a device that keeps them sleeping on their side. Like acupuncture or acupressure, this alternative works only for mild cases of sleep apnea and may not be effective for more severe cases. CPAP is still the most common and widely used treatment for sleep apnea, but there are some alternative methods for those who are uncomfortable with the CPAP device that can provide equal relief from sleep apnea. Sleep apnea, if not treated properly may cause some severe health problems like hypertension and even cardiac arrest. Therefore, those who suffer from it need to find the option that will work best for them.